Why Are You Always Hot? Feeling warm? 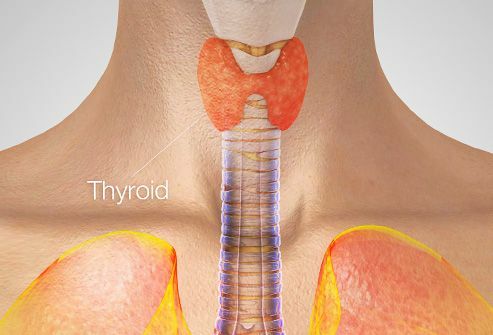 A problem with your thyroid gland could be to blame. With hyperthyroidism, the gland makes too many hormones. This speeds up the rate that your body turns fuel into energy, which makes you hot. You may be more thirsty, hungry, and sweaty and your heart may race. You also may have diarrhea or itchy rashes. Women may have lighter or skipped periods or trouble getting pregnant. It's when a woman stops having her period for good, usually around age 50. You'll likely get "hot flashes." These are sudden, brief increases in body temperature. 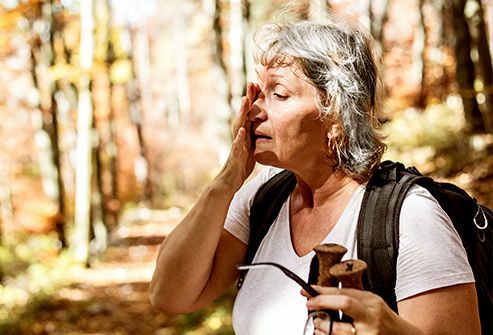 Menopause may cause intense sweating, dizziness, and a racing heart. The symptoms usually start before your last period and can last for several years. If they're severe, your doctor may suggest you manage them with hormone replacement, medications, and lifestyle changes. It happens when a woman's ovaries don't make normal amounts of the hormone estrogen or release eggs on a regular basis. It may be hard to get pregnant. You also may have hot flashes and night sweats that feel the same as menopause symptoms. Talk to your doctor if you notice these problems or skipped periods, less sexual desire, and vaginal dryness. Your body works best at around 98.6 F. Higher than that and you may have a fever, which can make you hot and sweaty. This often happens as your body tries to fight off germs like viruses or bacteria. Fluids, rest, and over-the-counter meds can help. 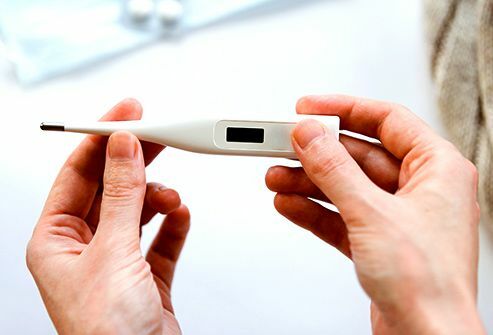 Tell your doctor about a fever of 103 or higher or if you're feeling worse. Go to the emergency room if you have severe symptoms like a very bad headache, stiff neck, confusion, or seizures. 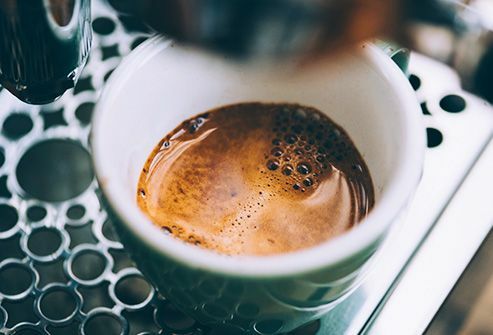 Caffeinated coffee can make you more alert and less sleepy in the morning, but it also boosts your body temperature. Too much of it can raise blood pressure, blood sugar, and stomach acid and cause sleep problems. Read packaging on tea, soft drinks, chocolate, and medicine. Gauge your own response to figure out how much is too much for you. Feel like your body heat zooms when you eat those spicy hot peppers at your local taco joint? You may be right. 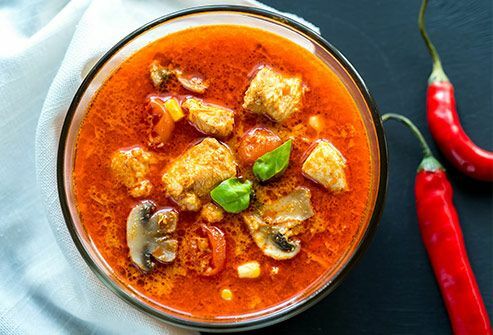 Spicy food seems to raise your core body temperature and can even make you sweat. There's nothing to worry about. Some studies show a spicy diet appears to be good for you. Just don't overdo it, especially if you notice that it makes you feel bad. Work your body hard and it burns more fuel. That makes more heat. Your body tries to get rid of it by sending warm blood closer to the skin and cooling it with sweat. But sometimes it can't get rid of it fast enough and your core temperature goes up. It happens more easily when it's hot and humid, when it can lead to heatstroke, a serious condition that needs emergency medical care. Your body tries to keep itself at 98.6 F no matter what the weather. 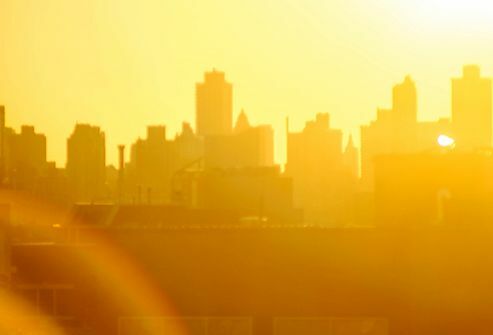 When it's hot and humid, your body moves blood to the skin's surface and cools it with sweat. But not right away. It waits until your body hits a certain temperature. 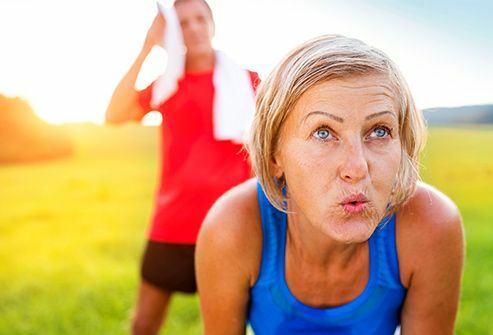 The exact number can vary depending on your age, health, and fitness level, but you're likely to feel hot even as your body tries to cool you down. With this disease, your blood vessels don't dilate, or widen, as well as they should, which makes it harder to bring blood to the skin's surface and get rid of heat. The sweat glands that are supposed to cool your skin don't work as well either. That makes it much harder to get your temperature back down. When you're older, your cooling system may not work as well. If it's hot outside, your heart needs to pump more blood to the surface to help keep your body cool. As you age, your heart just isn't as strong, so it has to work harder. 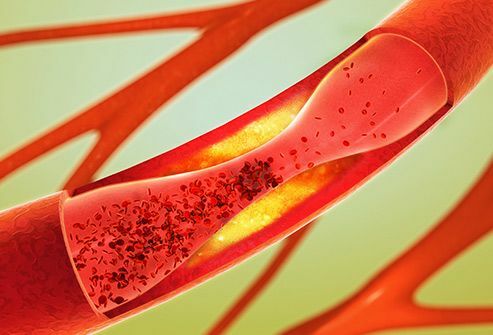 To make things worse, your blood vessels may not widen like they used to, so you can't get as much blood to the skin's surface at once. If you have it, your blood vessels don't expand as well as they should and your sweat-based cooling system doesn't work as well either. This makes it harder to cool down when you're hot. It can be dangerous, too. A weakened heart may strain to send blood around your body, and that can cause a heart attack. If you don't stay hydrated, you won't sweat enough and your body can't cool as easily. 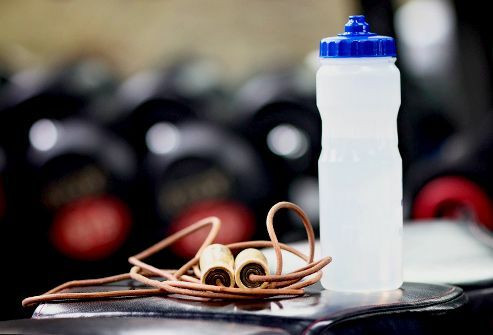 If you think you may not be getting enough water, take an iced water bottle with you when you are out in the heat or working out. When you're fit, it can help keep you cool. It's not clear why, but studies show that people who do more aerobic exercise -- the kind that gets your heart pumping -- are better able to cool down when they get hot. And of course, it's also good for your heart, weight, and even your mood. The more time you spend outside, the easier it is for your body to get used to the heat. It takes about 2 weeks for a healthy person to get "acclimated" to a new temperature -- longer if you're older or ill. Once it does, you'll feel cooler and your body will be better at staying cool and hydrated when working hard. 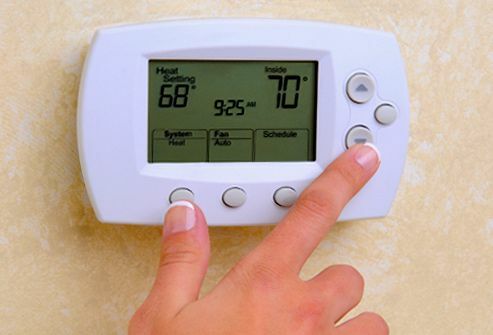 It can help to set your indoor temperature no more than 10 degrees cooler than the outdoor temperature. Lean people stay cool better than folks who are overweight. 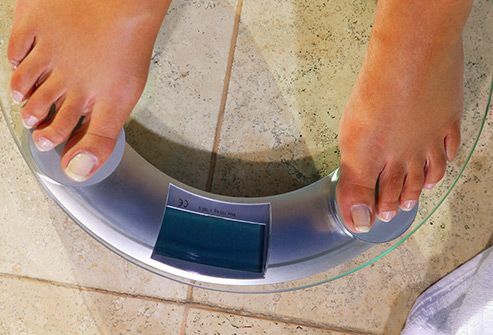 The more obese you are, the less skin surface you have for each pound of body weight. The result: less cooling power. If you need to drop some pounds, talk to your doctor about ideas for a healthy diet and an exercise program. Archives of Internal Medicine: "Weight loss reduces hot flashes in overweight and obese women." Autonomic Neuroscience: "Cardiovascular adaptations supporting human exercise-heat acclimation." BMJ: "Consumption of spicy foods and total and cause specific mortality: population based cohort study." Current Heart Failure Reports: "Cardiovascular Responses to Heat Stress in Chronic Heart Failure." 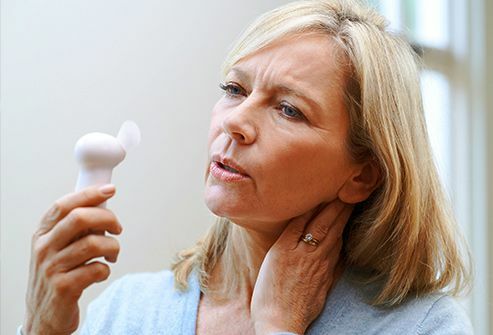 Harvard Health Publishing: "Menopause-related hot flashes and night sweats can last for years," "Do you have an overactive thyroid?" Institute of Medicine (US) Committee on Military Nutrition Research: "Nutritional Needs in Hot Environments: Applications for Military Personnel in Field Operations." International Journal of Sports Medicine: "Temperature regulation during exercise." Johns Hopkins Medicine: "Introduction to Menopause." 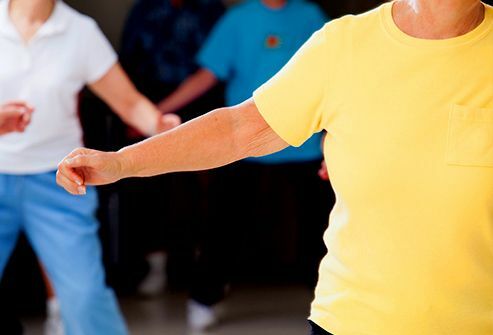 Mayo Clinic: "What aerobic exercise does for your health," "Fever," "Hot Flashes." Penn State News: "Hot and cold of growing old." Physiology and Behavior: "The effects of hedonically acceptable red pepper doses on thermogenesis and appetite." 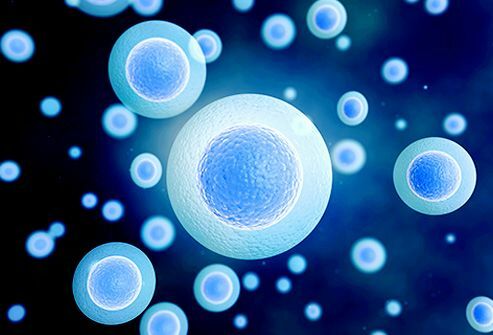 Rush University Medical Center: "How the Body Regulates Heat." 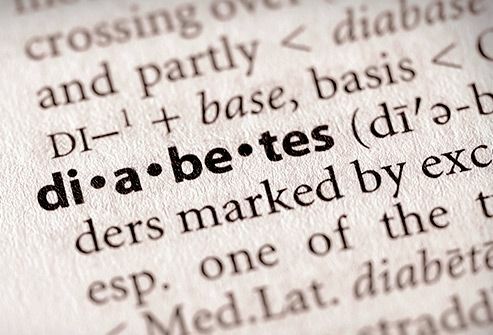 Temperature: "Body temperature regulation in diabetes." University of Iowa Hospital and Clinics: "Acclimatization: Adjusting to the Temperature." University of Michigan Health Service: "Caffeine." World Journal of Gastroenterology: "Consumption of spicy foods and the prevalence of irritable bowel syndrome."